In our last article we gave a glimpse of Anonymous, who started functioning in India to fight against censorship. This all started when High Court ordered to block all the file-sharing sites which included Torrent, Vimeo, Pastebin, isohunt etc. When ISPs(Internet service providers) started censoring the sites, ‘Anonymous’ got involved and cracked down 35 websites and started protesting against Freedom of Speech and Internet Censorship. As I understand, any person who is supporting to remove censorship from India anonymously is a part of AnonymousIndia. They do not want to know who the fellow members are? But standing for the same cause of removing censorship from the world make them more bold. You need not be a good hacker, but a protester by heart will make you Anonymous. I got to understand this after good conversation with Anonymous. When Anonymous started operating in India. Their twitter account was suspended in few days due to posting updates on TANGODOWN, which can be checked here. The Indian operations were named as #OpIndia. When the twitter account was suspended, Anonymous came up another operational ID as @opindia_back. Once Anonymous smelled censorship in India it increased its activity. According to Anonymous they want to remove the censorship from India as per IT act 2008. Anonymous also monitored the censorship activity happening in India. As a part of the OpIndia Anonymous hacked Reliance servers like mentioned here. They even hacked the Reliance’s sister concern BIG cinemas and Reliance Communication. Anonymous come to public in its Press Conference via web as mentioned here. This made us talk to Anonymous. We are Anonymous. We are a collective, bent at serving free will and justice. They wanted to know that was I from media? But when I told them I am a blogger, they were pleased to have a quick chat with me. Q. Its been a week now, how much do you think #AnonymousIndia is operating now? Anonymous: First of all main operation is in #OpIndia, #AnonymousINDIA is for new blood. It is going well, we have taken down many govt websites. 35 websites got defaced over a night when our twitter was blocked. We are doing really well. Q. The way you have chosen by the way of hacking the sites, do you think it will bring revolution to India? Anonymous: Depends on how you see it. It is a start. Anonymous_2: We will keep fighting and after all this is what matters standing up for what is right! Q. How would you react if I say a new hacker is born every time when he/she is associated with Anonymous? Anonymous: Not everyone in anonymous is a hacker. Some are just here to support us. Q. Example last time when I visited #opIndia, there were kids who wanted to get CBSE servers down because of results being published the next day! They have more expectations in bringing the such websites down. Any comments? Anonymous: No we do not support them, that’s why channel ops are there to keep an eye on the people who talk random stuff and not stick to target. Anonymous2: Even that is possible because before we were this anonymous we were pranksters on the web. Even then the vote mattered, if enough people supported that kid we would have done it. See this is pure democracy so the bad options fail and the good options win. Q. You set the target on the basis of votes? Anonymous: Yes vote of the possible target, isn’t that so [to Anonymous 2]. Anonymous2: Yes, we ask other anons..and then shoot! Q. How much support are you getting from the Anon_central? Anonymous: Anon_central is not a leader. They are just like us. 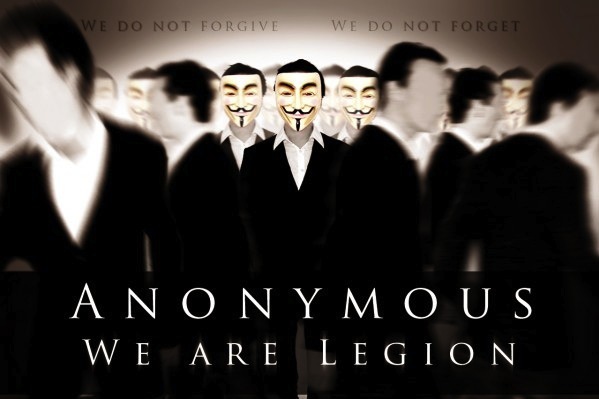 Anonymous2: Anon central is one of us, it’s not a nodal agency or anything. Q. Are Anon_central guiding you guys ? Anonymous: As I said, they cannot guide us. They are not leaders. Anonymous has no leaders. We are free thinkers. We ask people for suggestions on twitter and other anons on IRC and then execute the plan if everyone supports it. Q. What importance do you feel by international support though they are Anonymous like you? Anonymous: You never know if I am Indian or not. I may be anywhere in this world and talking to you on behalf of OpIndia. So OpIndia already is getting enough support from outside. We have support from #OpGreece #OpUK #OpMacedonia. We are all over the world. Fighting for one cause that is Internet freedom. Anonymous2: We are everywhere, we are the largest civil intelligence wing in the world. Q. Did Anon_central share any software patch or applications? Anonymous: Anonymous has many weapons. You can’t say who made what? So well if I use some script that I have built then well I will share it with other anons. It’s like that for us. We share what we make. Anonymous2: All softwares that we use are usually open source and available free online. Q. As #OpKashmir is also getting a role, will you guys work as protectors when things get worse? Anonymous: Anyone can be behind #opkashmir. We do not know who is it. But if they are using the name of Anonymous. Then I am sure they know the responsibility they hold. We respect other anons. We cannot tell them to stop. But yes if things go wrong then we will do whatever is possible. Q. Since the act of hacking is illegal how would you relate it with protesting or can it be also called as a group of people supporting hackers? Anonymous: We are hacktivists not just hackers. We hack for a cause. To spread the message among people. We tell about the wrongdoings of the govt. We are not terrorists. Q. Why is anonymous targeting Reliance then, there are many other ISPs too who got the legal orders to block the file sharing sites? Anonymous: We have enough proofs to target Reliance. We are working on other ISPs . As soon as we get enough proofs about others we will leak out to the public and then attack them. Q. As there will be many skilled users(but didn’t worked with the hackers group) also who would be willing to join you guys, any message for them? Anonymous: They can come to our IRC and join channel #OpIndia. Its simple as that. Anonymous2: 1.webchat.anonops.com/?channels=#opindia link to join operation india irc. Q. What all can we expect other than a peace protest march on streets on 9th June? Anonymous: Well may be. We cannot assure you. If government hurt the protesters in any way then our response to it will not be good for govt. We are actually going really easy on govt at the moment. Q. If other communities like to join Anonymous for other causes like corruption, to bring out more scams etc. Will you support them? Anonymous: People who are willing to join Anonymous against corruption and censorship are always welcome. Anonymous2: Yes, they are always welcome. Anonymous is gathering members and arranging a nationwide protest against censorship. For that they have started mentioning various places where they will be organizing a peace protest against the Internet censorship. Click here to take part in the peace protest. If you like this blog please follow us on Twitter @buggingweb, like the Facebook page and add us in your Google Profile. « Easy way to access blocked torrent sites!